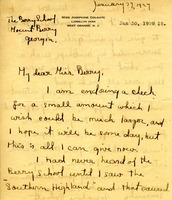 In this letter Miss Josephine Colgate expresses her interest in the school and encloses a small donation for the Berry Schools. Mrs. Jenks is pleased to send a small check to aid Miss Berry's splendid work and wishes her check was many time larger. 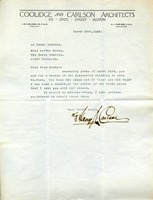 On April 7, 1927, J.L. 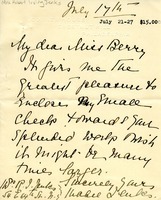 Hope write to Miss Berry of the receipt of an attractive Berry Callendar and includes the 1927 subscription along with good wishes. 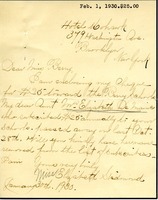 In this letter Mr. Guilford explains that he has enclosed the freigt bill coverage for a case of prepaid clothing, as well as his enclosed check for $10.00 towards the Berry Schools.